Farewell, Jon Stewart. Thanks for keeping us sane. I’m not one for celebrity worship. Frankly I get annoyed by the public competition that follows a celebrity’s death or retirement, as writers try to one-up each other with maudlin remembrance–often quoting words spoken in-character, written by someone else. That said, I am going to take a minute today to talk about Jon Stewart, because Jon Stewart to me is more than just some celebrity. It’s so cliche to say “this celebrity touched my life,” but Jon Stewart’s work on the Daily Show really does have personal significance for me. It might be exaggeration to say “the Daily Show kept me sane,” but then again it might not. I remember one day in particular, during the darkest days of the Bush regime, when I felt especially lost and hopeless. I don’t remember the reason–maybe it was another failure by Congress to repeal the Patriot Act, maybe something to do with Gitmo–but I remember going home from work feeling really despondent. I remember it was the Daily Show that night that turned me around, that made me laugh at the very thing that had felt so crushing, that shrunk it down and made it manageable. That was, to me, the most important part of the Daily Show. It wasn’t just that Jon and his writers were funny, it was something more. A particular demeanor, a personality he brought to the show, not of outrage or righteous indignanation, but wry disapproval. When some news item would have me thinking the country was well and totally demolished, Jon Stewart would talk to the President as if he’d scratched the family car. It made me realize, in a time before Twitter and Facebook and literal national conversation, that while the people leading the country were irrational and evil, the rest of us were still going to be all right. I’ll always appreciate that. I’ve long wished for a chance to tell him in person, but never have. Not yet, at least. 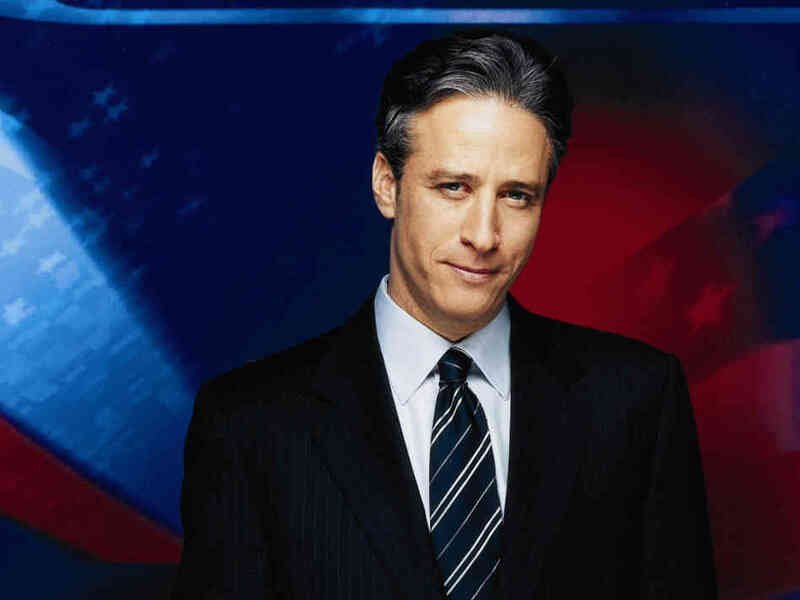 It’s important, I think, to remember what Jon Stewart inherited when he took over the Daily Show: It might have followed a news format, but it was not a political or social critique. I was a fan, at the time, of the Craig Kilborn Daily Show, but I was a teenage white guy and that should tell you a lot. It was a juvenile program that got laughs from mean-spirited mockery of well-meaning and harmless individuals, designed to appeal more to the loyal Entourage audience than Mother Jones readers. In 1999, comedy about politics was not cool. Jon Stewart made it cool. Jon Stewart is the reason, I believe, that politics went from something you never brought up in polite conversation to the number one thing Americans want to talk about all the time. Jon Stewart made it cool to be informed, to know what was going on in Congress and in the Supreme Court. Sure, it was mostly so you would understand that David Vitter diaper joke or Scalia impression, but the side effect of that was a more engaged, informed American populace. Personally, I think Jon Stewart is the reason we got a President Obama. Now, before you get mad at me, I’m not saying Obama couldn’t have won in 2008 without Jon Stewart– I believe he could have, though it would have been more difficult. I’m saying that if Jon Stewart hadn’t made politics cool, if he hadn’t generated a base of politically-engaged 20-somethings, I doubt Obama would even have run when he did. I’ll never forget the first show after 9/11, the tearful monologue Jon choked out in a silent, audience-free studio, in which he shared his feelings about the destruction in New York City, and his own hope. It was the moment I, and lots of other people, knew we could really trust Jon Stewart. He displayed a level of integrity, honesty, and yes, patriotism, that said without a doubt that while he might mock American democracy, it was from a place of love. I get choked up even now thinking about it. I’ll never forget watching him take down Crossfire, as the two astonished hosts tried in vain to shut down the silly comedian’s surprisingly sharp intellect. After that high-profile takedown, he rarely caught anyone by surprise again, but when he did–as when he took Jim Cramer to the woodshed over the financial collapse–it was pure pleasure. Thinking back on those moments, it’s easy to see why Wyatt Cenac would want to see Jon Stewart as a paternal figure–I think the whole country did, to some extent. He became a moral compass. When some public figure committed a transgression, liberals and conservatives alike waited to see what Jon Stewart would say. Hell, he was probably the most-discussed person on Fox News who didn’t work for Fox News. The more I think about it, the more I view Jon Stewart as the modern-day Mark Twain. Again I may be exaggerating, but after learning about his private meetings with the President, I feel safe in that assertion. I really hope he isn’t leaving the political space for good–that maybe we can get more one-off events like his debate with Bill O’Reilly–because America really is worse for losing his voice. I’m not upset that Jon is leaving the Daily Show. I understand the desire to leave at the top of his game, to spend time with his family, and to explore new ventures. Though he hasn’t said it, I suspect that after 15 years he’s grown tired of the format–yes, he has a pulpit from which to speak truth, but at this point I wonder how much new there is to say. Sure, he can react to the latest clip of some blowhard politician, but after so many years it has to feel like a merry-go-round; different politicians saying the same things, and him doing the 25th variation on basically the same response. I admit that in the last few years I’ve mostly stopped watching the Daily Show–not because it isn’t funny, even frequently brilliant, but because I generally feel like I’ve seen it before. People say they’re disappointed that he’s leaving before the 2016 election, saying that’s the Daily Show’s best material, but I suspect that is the very reason he’s leaving now–I doubt he wants to go through another Presidential election, to throw the same jokes at the same circus for a fifth time. I can’t say I blame him–it might be fun for us, but it has to be exhausting for him. It’s also a great time to hand the keys to a new guy, when prime material is coming down the pipe. So I’m happy for Jon, and I wish him well, but I will miss him. Even if I wasn’t watching regularly, it was always a comfort to know I could turn to him, four nights a week, to put my mind at east. I have little doubt that things will look catastrophic again at some point in the near future, and I wonder where we’ll all turn for a barbed joke and a silly voice that lets us know it’s all okay.